All you need is love and Dota 2! 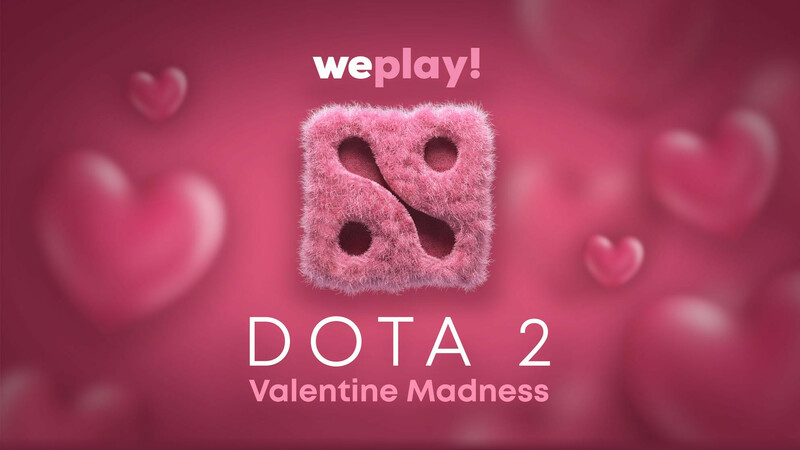 Watch our heart trembling tournament, Valentine Madness and let's discuss! Four directly invited teams to the Quarterfinals & eight invited teams to the Round 12 will be seeded in the 3 Games Guarantee bracket. All matches are Bo3. Lower Bracket Rounds 1 & 2 is Bo1. Grand Finals is Bo5. In each match, a coin toss decides which team has Selection Priority. Alternates for game two. The coin toss is used again if there is a third game. The first fourth pairs in the playoffs matches will be determined according to the draw. Thanks for posting this! I took the liberty to edit in the CSS we normally use but with a more "loving" background than normal. This tournament. Really, this is almost Dota 2 in a nutshell. I think this tournament is just great. Also Sheever is looking healthy so its a great thing. She looks like she needs a few months of sleep back, but it's good she's doing better. As for the tournament, the triple-elimination is kind of funky, but it's an interesting approach for an online, 12-team tournament. Wouldn't work on LAN, but it is interesting for online with tiered seeding. Am I missing something or the first turn of the lower bracket makes no sense? all the teams go to the next turn. Gambit's Nyx + Medusa opening is interesting. Nyx causes a lot of problems in the current meta and against most Medusa counters. Interesting. Also, ppd has a long-term problem of not drafting enough damage and Fata is not a good damage dealer carry. If 33 doesn't have damage or Fata isn't beyond tanky, they normally lose against anyone good. It's a clear trend. I'm reminded why Fata is always a level below the top tier midlaners. Those two bad positioning deaths saved Gambit's 2 tier 1s and threw away NiP's laning stage lead. I still don't like Troll as a hard carry and 33 really needed to be on a hero with more damage ability. ppd teams normally have the biggest problems against top tier teams because they focus too much on "finesse". That works with top 10 players, but that's not what they have. Congrats to Gambit on the win. Fata played the early game really badly, but Gambit took full advantage and just ran away with it.